Hello friends, taking time to thank you for sending an email vote for my flag. I’ve been notified that the email address that I gave you yesterday may go into their spam folder, so here is the one that you can use if you would like to vote for “Freedom Flag”, so sorry for the incorrect information. 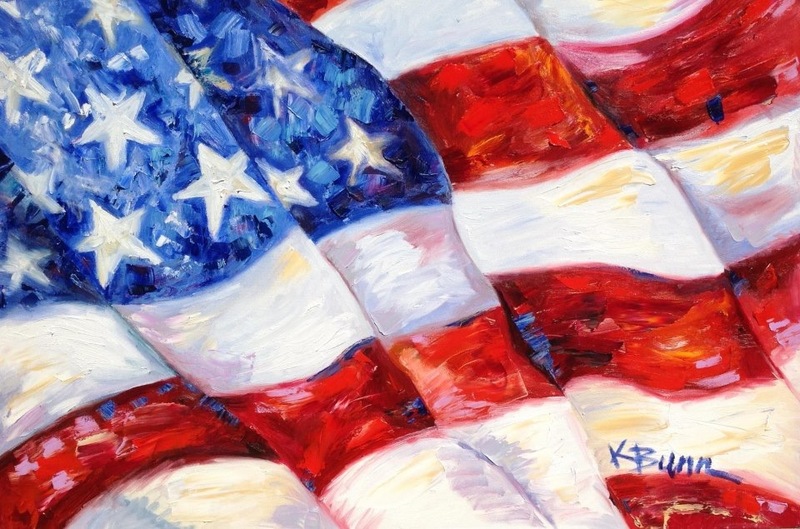 Please include my name, Kathryn Bunn and the title “Freedom Flag”. Thank you so much for liking my work. It does my heart good to share my treasures with you, thank you for liking my work and for voting for my flag! Have a Happy July Fourth!!! Today I am missing California so I decided to paint from one of the photos I took on my visit. 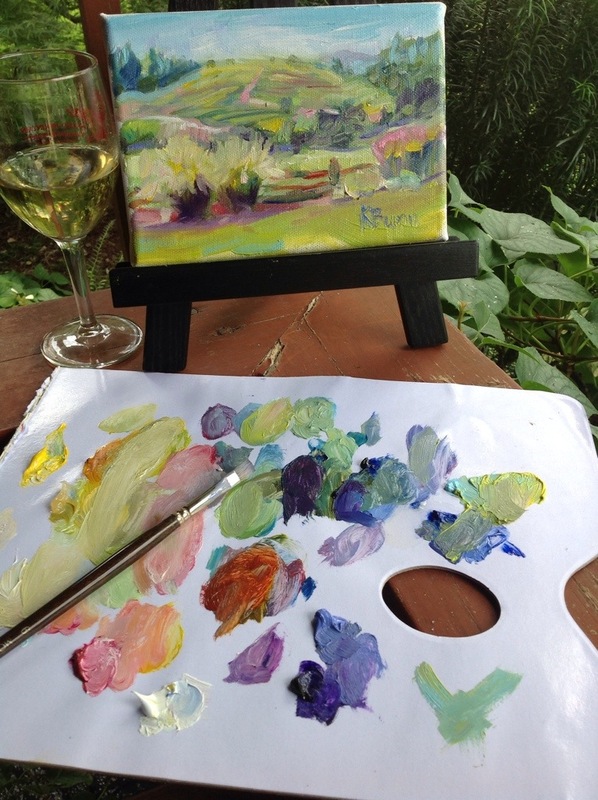 This oil painting was inspired by a spectacular view from West Wine, Healdsburg in Sonoma County, California. I am thankful for some new friends, breathtaking scenery and delicious wines, California is truly golden and special.